Bed linens, bath linens, liquid hand soap plus initial supply of toilet paper, paper towels, dish soap, dishwasher detergent and laundry detergent are provided. No fire pits or open fires of any kind are permitted outdoors within our community. A gas grill is acceptable and is provided for outdoor cooking. Cleaning fee is $100 and refundable security deposit is $250. State and city taxes are 12.05%. 50% is due when reservation is confirmed (does not include security deposit). Remaining rent and refundable security deposit is due 30 days prior to arrival. Interested in owning your own cabin? 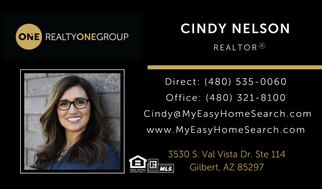 I'm a licensed real estate agent based at Realty One Group in Gilbert, AZ. 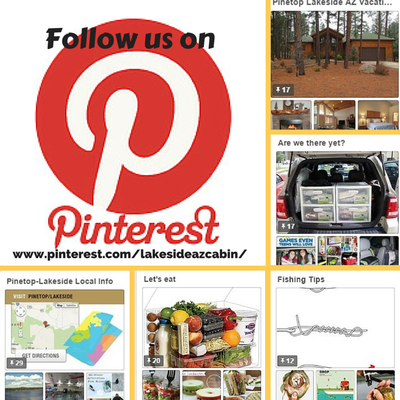 I would love to help you find a cabin of your own. I can share with you my personal experience as well as provide you with a list of homes currently on the market. Call or text me at (480) 535-0060 and visit my website at www.MyEasyHomeSearch.com . Download my FREE app on your phone and access homes for sale for any neighborhood by texting ONECINDYNELSON to 87778. You'll be able to see photos, description, price and more.